HOT 1039 IS GIVING YOU 4 CHANCES EACH AND EVERY WEEKDAY TO WIN CASH!!!! IT’S OUR GRAND SLAM CASH GIVEAWAY!! 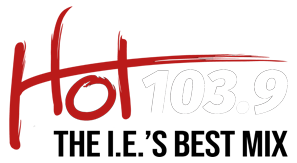 JUST LISTEN TO HOT 103.9 EVERY WEEKDAY AT 8, 11, 2 AND 5 FOR THE SPECIAL KEYWORD. THEN, TEXT THAT KEYWORD TO 67760 AND YOU’VE GOT A SHOT AT SCORING ONE THOUSAND DOLLARS… 4 TIMES A DAY!!! MUST BE 18 OR OLDER TO PLAY. MESSAGE AND DATA RATES MAY APPLY.